“Today I had to look up who he is. His papers are mostly in specialty journals,” said David Sinclair, a leading resveratrol expert at the Harvard Medical School. Das appears to have had a business relationship with Longevinex, a well-known supplier of resveratrol supplements. I note that Bill Sardi, the managing partner of the firm that runs Longevinex, has showed up on this site in the comments section before, as have many fans of the product itself. (I know that David Sinclair has heard of those guys, because they were throwing around his name for a while, which seems to have led to talk of possible legal action). I apologize. I did not expect my off-the-cuff comments to be printed. I will be more careful. We appreciate Sinclair’s candor, although we feel obligated to note that he is hardly media-naive, having been quoted in countless articles about resveratrol over the years. He co-founded Sirtris, later sold to GlaxoSmithKline for $720 million, based on his early work on resveratrol. Now for the last big issue: what does this do to the whole resveratrol/sirtuin field? Not as much as you might think. As mentioned above, Das really doesn’t seem to have been that big a figure in it, despite cranking out the publications, and a lot of interesting (although often confusing) work has come from a variety of other labs. Still, when researchers with vested interests — be they intellectual or financial — in a controversial and lucrative field characterize another scientist’s work that way, it’s worth fact-checking their claims. So we’ll be following the upcoming retractions closely to see what kind of impact the withdrawal of the original papers will have on the field. He has, as we’ve noted, been cited frequently. Update, 9 a.m. Eastern, 1/13/12: It turns out that at least two of those citations were by Sinclair. Eagle-eyed commenter LNV points out that a 2006 Nature Reviews paper by Sinclair and a colleague cited two of the Das group’s articles. Update, 4 p.m. Eastern, 1/16/12: More good coverage from Tom Bartlett at the Chronicle of Higher Education about what effect these allegations are likely to have on the field, and from Derek Lowe of In The Pipeline, taking apart a Bill Sardi statement that we also received this morning but didn’t post. Nice journalistic work on the Sinclair angle. What a ridiculous reply from Sinclair: “I apologize. I did not expect my off-the-cuff comments to be printed. I will be more careful.” I see, so you talk nonsense when not being recorded? As for the resveratrol angle itself, it is a useful molecule, and undoubtedly has beneficial bioactivities (as do thousands of other known compounds). But it is massively hyped. A good ‘second look’ at this field, perhaps driven by the Das fiasco, is probably healthy for science. Re: Sinclair: It doesn’t quite reach the level of “Not intended to be a factual statement,” but it certainly is up there. Though I guess in a way I have to commend him for not reaching for the shovel and doubling down. Ahahahah, nobody likes a radioactive guy, that’s for sure! How does Sinclair publication record looks like, by the way? Just to get into Harvard, it must be pretty beefy. Perhaps experts in the field should have a look, just in case. Some of the Sinclair’s work is debated. Several data from his group haven’t been reproducible. But accusing someone of fraud is a big thing and evidence must be really overwhelming. Well, you kind of say it in the above quote. Is it so inconceivable that an entire field is bogus? Suppose that a few biggies make up data and somehow make some money based on that. Other labs invest in it and bias the data to make results come out. A fad emerges and self-sustains. I think it’s entirely possible that bias and fraud is pervasive in an entire field, especially if there is potential profit involved. There must be historical examples of this. Fas-Ligand research was such an over-hyped field in the 90s, based on some strange high-profile publications. While the field is certainly not completely bogus, IIRC there even was an editorial in science regarding FasL and how it was over-hyped. Maybe Sinclair thought he was speaking to the New York Times and accordingly didn’t expect his statement to be fact-checked? This paper casts doubt on the link between Sirtuins, thought to affected by “resveratrol” (as if it is a word), and life span. At present there is debate. That the original work is being challenged. Hi everyone. I think that nobody likes a radioactive guy, that’s for sure! How does Sinclair publication record looks like, by the way? Just to get into Harvard, it must be pretty beefy. Perhaps experts in the field should have a look, just in case. Yet another piece of the puzzle that is (alas!) not as clear as was once thought. They should give David Sinclair and Lenny Guarente no NIH funds fof 3-4 years. That’ll teach everyone! 4) Scientist in big-name institution says that work coming out of lesser-name institution is not really done rigurously. After all, if they were so good in lesser institution, why would they remain there? Thats for sure one of the most accurate descriptions of how science works nowadays. And don’t get me started with certain fields in Robotics and AI! Famous places (which I won’t name) spend all their time creating cool demo videos of the great and futuristic stuff they are doing. Too bad that there is a lot of cheating in the background they are not telling you about. Like for example that most of the “intelligent” behavior their robots exhibit is actually fed in stealthily while the videos mislead you into believing it’s self-generated by some revolutionary machine learning algorithm! Yes, this is work in progress. It has been for the last several decades, without much real progress! In the meanwhile, DARPA and other defense related agencies just waste more money on them! Well said, ABO. Unfortunately we scientists are not all born in the US and belong to the Yale/Columbia/Stanford/MIT/Caltech/Rockefeller mafia, and we have to suffer this pervert mechanism in our work, which you nicely described. Many researchers think that metamaterials (negative-refraction kind) and cloaking have also been hyped up. It’s an interesting question, how can we outside the field know how peripheral he was/is? Papers and citation counts aren’t necessarily the best metric, there are people (especially older academics) with unspectacular publication records but a lot of “klout” in the field through serving on the right committees etc. Was he one of those? The comments from this popular scientist on the quality of Dr. Das’s publications is rather disappointing. I did not expect this. Just because someone publishes his/her research in low impact journals, the field is not affected. Not every one is fortunate enough to publish in Cell, Nature, Science regularly. We all know how they get published in such big journals. Does it mean that papers published in these journals are always trustworthy and papers published in lower impact journals are not cite-worthy (not sure this is the right word…sorry)? It’s strange… many years ago, scientists perhaps got most of their information on a topic of interest from reading the journals they subscribed to. Thus, anything in Nature, Science and Cell was probably well read and well cited. And probably the top journal from a sub-field (Toxicology, Endocrinology, J Neuroscience) was well read as well. But these days, that isn’t how scientists build their reference lists. I use PubMed to find papers of interest in my field, looking for key words. I have automatic notification when a manuscript is published with “my keywords of interest”. I get automatic updates when someone cites my work – and I usually read any paper that does cite my work, or at least the abstract. Thus, papers in “lowly” journals are almost as accessible as papers in the top journals. (I say “almost” because there is still the issue of accessing / paying for papers published in journals that are not subscribed by the University library.) I also think the comparison of the journals where Das and Sinclair were publishing is not quite so striking – Sinclair’s latest publications are in journals I’ve never heard of… but if I were in his field, I would surely be reading them! Finally, I put “resveratrol” into PubMed and got 4457 hits. Limiting that by “Das D” brought 58 hits. Limiting it instead by “Sinclair” brought 16 hits… This doesn’t mean that Das’ work wasn’t peripheral, but as an outsider looking in, I’m not ready to dismiss his work’s impact on the field that easily. LNV: Good pointers and great job..Joseph Baur, who I think , did postdoctoral work with DS on those important high impact papers, has a paper with Prof Das..and also contributed an article to the journal which was edited by Prof Das. Never ending connections…If one stretches this thread, it might hit something big. The lead author of this paper (Vang) makes an interesting comment on his own PLoS ONE paper (you can read the comment by clicking on the link at the paper’s webpage). There is little doubt that Sinclair has a potential major “axe to grind” with Das. Das wrote the following ‘questions’ about Sinclair’s work in an 11-page Erratum in the journal Heart Failure Reviews. Timespan=All Years. Databases=SCI-EXPANDED, SSCI, A&HCI, CPCI-S, CPCI-SSH. Both authors have written articles this discuss aspects of resveratrol that do not get picked up in such WOS searches. So if I have done the math correctly, Sinclair publishes much less (about 1/4 as much as Das) but gets cited much more (about 3 times as much as Das, not counting self-citations). and Sinclair has a fairly low self-citation percentage, about 0.9, while Das has a fairly high self-citation percentage, about 16.4. In this light, Sinclair’s claim to have no knowledge of Das might be categorized as snooty revenge, a snub, a “we have not been introduced” upper-class assertion of superiority. You publish in higher impact factor journals, you get cited much more frequently by definition…. Agreed. Das’ publication record appears sufficiently strong that it is not reasonable to classify him as peripheral in the field. 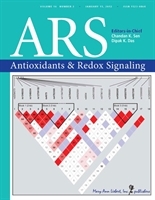 According to Google Scholar, Sinclair’s 2006 Nature article “Resveratrol improves health and survival of mice on a high-calorie diet” has been cited 1450 times, while Sinclair’s Nature Reviews Drug Discovery article “Therapeutic potential of resveratrol: the in vivo evidence” has been cited 960 times, and his 2003 Nature article “Small molecule activators of sirtuins extend Saccharomyces cerevisiae lifespan” has been cited 1400 times. Anything in Nature usually gets high citation counts, even if the work is not superior to work in more ‘specialized’ journals. And I think the Retraction Watch crew has established above that Sinclair and Das are both aware of each other. I don’t think I have read a paper from those journals, so I expect they are very-much specialty journals. While sometimes you can find jewels in there, often they are a notebook-clearing dumping-ground. The bar of novelty and experimental rigor are just not as high. I expect that Sinclair gets cited more because the peer review indicated the work was more thorough (and/or novel). How do you know that “sometimes you can find jewels in there, often they are a notebook-clearing dumping-ground. The bar of novelty and experimental rigor are just not as high” if you “don’t think [you] have read a paper from those journals”? Sounds like, by your own admission, your opinion is uninformed? As a scientist who has published quite a bit in specialty journals, I realize that the only difference between work published in top-tier journals and specialty journals is the perception of “hotness” or the political acumen and connections of the corresponding author. But, I’m not talking about Nature vs. JBC (for example) folks. Please. I love and live for specialty journals. I’m talking about specialty vs. who-knows-what. Some of that is good work, full of good ideas, that may be correct but limited by time, breadth, or access to methodology. But sometimes work gets rejected (even) by specialty journals because it’s flawed, and that’s the kind of work we’re talking about here. His work was flawed, even fraudulent. Maybe peer review worked–or tried to. I’d agree with one aspect. Junk science is often easier to detect in the lower-tier ‘specialty’ journals than it is in the top-tier ‘specialty’ journals or the general journals, but that does not mean it is necessarily less prevalent in any one of these classes. The “baffle them with BS” approach is more common the higher the ‘quality’ of journal. Indeed, owing to the ‘riskiness’ of much of the work now appearing in top-tier journals, one could argue the junk quotient may be higher in some of these so-called ‘top-tier’ journals. Unfortunately, we are in an era of ‘science hype’, where good, solid straightforward work is often very much under-appreciated, even mocked openly (as perhaps we sometimes see on this site). It is often harder to generate simple, solid data than it is to pursue some wild grandiose hypothesis backed up with massive quantities of technical hand-waving. Occam’s razor is a lost art. I never write off any research based on its forum of presentation – be it a top-tier article or a pre-print, or anything in between. A good scientist reads as much as he/she can get his/her hands on, and evaluates the work based on what is presented in the paper, regardless of its source. Given the breadth of sources available nowadays, that means a lot of reading – but such is now the life of a good scientist in the 21st century. Wrong, Kevin. Actually, most of the real science and progress goes on in “specialty” journals. Articles in “top” journals are there in large part because they have a good narrative (also known as “convincing BS”) and the authors have high-power connections in the field, NOT because the data is more solid or the work more replicable. Sinclair gets cited more because he publishes in these “top” journals, which have higher impact. Same reason why certain pop singers sell lots of CDs, whereas much more talented individuals barely can make a living. That is all there is to it. Jon is absolutely correct. In many fields, if you start pulling on the historical thread of high-profile articles published in supposedly top-tier journals, you find much of the story had been previously published by relatively obscure groups many years (or even decades) earlier, but that the story has now been repackaged and modestly updated/expanded for more general consumption. The resveratrol and health topic is a classic example of this. Much of the pioneering work in this area showing positive bioactivities was done before 2000, yet the post-2000 studies get more attention. Indeed, if you go back to the mid-1990s, it was already very clear back then that this compound had substantial promise (or at least, strongly appeared that way). But the fire wasn’t truly lit until the Nature/Science type papers of the early to mid-2000s were published. Looking at the link, one name caught my eye: Bharat B Aggarwal, Professor, The University of Texas, USA: Chemosensitization of Tumor Cells by Resveratrol. Dr Aggarwal published a paper on the effect of curcumin (a compound from the spice turmeric) on myeloma cell lines – and a whole bunch of myeloma patients started taking curcumin supplements. No effect on the disease that I have seen. I tell patients that I prefer my curcumin within turmeric when it is used lightly in curry! Curcumin (diferuloylmethane) down-regulates the constitutive activation of nuclear factor–κB and IκBα kinase in human multiple myeloma cells, leading to suppression of proliferation and induction of apoptosis Blood 2003 101:1053-1062. Gossypin, a pentahydroxy glucosyl flavone, inhibits the transforming growth factor beta-activated kinase-1-mediated NF-κB activation pathway, leading to potentiation of apoptosis, suppression of invasion, and abrogation of osteoclastogenesis Blood 2007 109:5112-5121. Celastrol, a novel triterpene, potentiates TNF-induced apoptosis and suppresses invasion of tumor cells by inhibiting NF-κB–regulated gene products and TAK1-mediated NF-κB activation Blood 2007 109:2727-2735. Resveratrol inhibits proliferation, induces apoptosis, and overcomes chemoresistance through down-regulation of STAT3 and nuclear factor-κB–regulated antiapoptotic and cell survival gene products in human multiple myeloma cells Blood 2007 109:2293-2302. Modification of the cysteine residues in IκBα kinase and NF-κB (p65) by xanthohumol leads to suppression of NF-κB–regulated gene products and potentiation of apoptosis in leukemia cells Blood 2009 113:2003-2013. Indole-3-carbinol suppresses NF-κB and IκBα kinase activation, causing inhibition of expression of NF-κB-regulated antiapoptotic and metastatic gene products and enhancement of apoptosis in myeloid and leukemia cells Blood 2005 106:641-649. Anacardic acid (6-nonadecyl salicylic acid), an inhibitor of histone acetyltransferase, suppresses expression of nuclear factor-κB–regulated gene products involved in cell survival, proliferation, invasion, and inflammation through inhibition of the inhibitory subunit of nuclear factor-κBα kinase, leading to potentiation of apoptosis Blood 2008 111:4880-4891. Gambogic acid, a novel ligand for transferrin receptor, potentiates TNF-induced apoptosis through modulation of the nuclear factor-κB signaling pathway Blood 2007 110:3517-3525. Salinosporamide A (NPI-0052) potentiates apoptosis, suppresses osteoclastogenesis, and inhibits invasion through down-modulation of NF-κB–regulated gene products Blood 2007 110:2286-2295. Resveratrol blocks interleukin-1β–induced activation of the nuclear transcription factor NF-κB, inhibits proliferation, causes S-phase arrest, and induces apoptosis of acute myeloid leukemia cells Blood 2003 102:987-995. Phenylarsine Oxide Blocks Interleukin-1β–Induced Activation of the Nuclear Transcription Factor NF-κB, Inhibits Proliferation, and Induces Apoptosis of Acute Myelogenous Leukemia Cells Blood 1999 94:2844-2853. Go have a look at http://www.ncbi.nlm.nih.gov/pubmed/21115559 and then consider that Resv, Curcumin etc… rarely achieve even 2 microM in the blood stream. Most of these anti-cancer studies (etc) use concentration well above what is clinically possible AND at doses which have been shown to cause cell death of healthy cells. And there are massive difference in response between cell types and cell lines. Added to this is the problem that polyphenols affect multiple pathways simultaneously. Tracking one pathways (as in the NFkB studied quoted) gives a very inaccurate representation of what is going on. It seems it is the flux through several pathways which decides outcomes not the flux through one particular pathway. Reductionist methodologies are useless for studying polyphenols. Quite frankly, any polyphenol study showing this or that with a concentration above 2 microM should be simply disregarded. I don’t what do you want to say. Check this paper: Clin Cancer Res. 2008 Jul 15;14(14):4491-9. Phase II trial of curcumin in patients with advanced pancreatic cancer. Also do not blame on natural product researchers. I know several people are taking this including qualified oncologist in biggest hospitals in USA. How did you discover taxol, camptothecin, FTY720, vinblastine, etoposide, teniposide, flavopiridol all these came from plants. If you are blaming natural products and people who works on that (not just in US but all over the world) why you are using them in clinics. So first try to understand how natural products are working? did you ever tested any of this compound? Das issue… is different. there will be some people always their to create troubles by falsifying results, that is very sad. No one knows the fate of these natural compounds. It is upto the readers to decide. However, as you said, putting this into clinical practice is rather risky..
Akt family seems to be over-sensitive to the comments made here. I do not recall suggesting not studying natural compounds. My point was that these formulaic papers MAY represent a significant amount of self-plagiarization – and do not be making any significant contribution to laboratory science (and only questionable to clinical medicine). I had no idea – until the kind links were provided – that there were questions about some of the work! And Akt, by the way, the Clin Cancer res paper on curcumin in pancreatic cancer did not exactly knock my socks off – sorry! How Blood, JBC, etc. accept these formulaic/robotic/mechanical articles is beyond me. his paper(s) have not been retracted yet? Rarely are papers with mistakes retracted. I know of may papers in great journals (ie PNAS) that were later refuted that were never retracted. Some of these individuals continue to get major NIH grants. What it really comes down to is who you know for getting papers in good journals and getting your grant funded in a tight funding climate. Suspicion over resveratrol is not new. There have been claims to review its supposed actions and mechanisms since 2005: http://www.ncbi.nlm.nih.gov/pubmed/15684413. This culminated in http://www.ncbi.nlm.nih.gov/pubmed/20026255 and http://www.ncbi.nlm.nih.gov/pubmed/20798296 (note the fury following this article). I have used Resveratrol to extend the life of my fish in 2005 (http://www.ncbi.nlm.nih.gov/pubmed/16461283) and in my current work for a PhD. I’m still not taking the stuff. It does virtually NOTHING for maximum lifespan. Its a healthspan modifier and its action probably comes at a high cost. Sadly, I cite one of Das’ papers: http://www.ncbi.nlm.nih.gov/pubmed/19959541 I see the coauthor, Gurusamy, comes up in that report a lot… A great pity. It was a good article. Perhaps you should lay out these “associations”? I am not sure how the permission is obtained in the US for clinical trials using natural compounds. Some of those trials on curcumin is conducted by only a few groups associated with the authors listed above….as far as I know of. Shockingly, these ‘researchers’ use tax-payer money to produce results that mislead consumers and dietary ingredient manufacturers! A brief scan shows the NIH funding record (http://projectreporter.nih.gov/reporter.cfm). Pls look at the list of Das Dipak, >US$15mio! This ‘blog.m3.com′ site works fine for me in Canada. Regarding the Japanese blogger, “blog.m3.com” is just the host site, like wordpress. The actual blog was blog.m3.com/retraction, which has been down since the new year. The suspicion is that the outage is probably related to the numerous articles they published on data manipulation by Matsubara, a prominent Japanese scientist. They also happened to have published 12 articles on Aggarwal before the outage. Joerg Zwirner at the Abnormal Science blog has been re-posting some of the Japanese blog articles in English. There appear to be some image manipulation issues at “http://blog.m3.com/flyingmedicords/”, but with no text. what is this blog.m3.com website? it is only showing I think japanese script. Do you know any english version.It is not available in USA and one of my friend told me that he can’t access it on Singapore. Could you please post weblink? blog.m3.com/retraction is defunct now. probably it was removed..that blog was giving very interesting cases – mostly for papers with Japanese authors – to Abnormal Science blog…now the proof has been lost..
Research misconduct? Image duplication? Fabrication? Falsification? Unintentional and inadvertent mistake? Coincidental similarity? Cytokine Research Laboratory, Department of Experimental Therapeutics, The University of Texas MD Anderson Cancer Center, Houston, TX, USA. I think we are making a mountain out of a mole hill. Autorad images of western blots are routinely manipulates to give a good presentation. This is AFTER quantification of the bands (which is something of a joke in any case). The issue is not whether the blots were manipulated in PhotoShop but whether the manipulation occurred before or after the band intensities were captured by densitometry. If it was after the data was captured then the problem is simply that the manipulation wasn’t reported (very sloppy). If it was before then the data is pretty much worthless and we are looking at data fabrication—which is understandably very serious. We help no-one by reporting investigations. We need to report the results of the investigations. The difference is the former is slander and the latter is justice. PS. Obviously the Anderson Cancer Center debacle has nothing to do with western blots. The problem there is a lot more blatant. Hard to explain that one away with sloppiness. How could you possibly do this? this question is for both – the author and to 11jigen. It is a serious case if all those papers listed have irregularities. It is not only Resveratrol – there are many products involved. Please somebody stop this. It is hurting all of us. I have resentment towards publically-funded scientists who report dishonest research to mislead public. Understandably, professors nowaday either publish or perish! But, why do scientist of his status and calibre behaves this way. Further, the reason why professors receive higher credential, in contrast to their commercial counterparts, are their perceived willingness to report unbiased research findings. In the case of Aggarwal, his actions are despicable. Looking at his ‘impressive’ publication record (532 articles total, 48 in 2010, 40 in 2011, 8 in first 20 days of 2012), i started to question their validity. I wish there were more people like you with the time to police research. Your efforts are far more genuine than “crony” peer review (which I feel shares the bulk of the blame for all this). The Journals should go back and examine the integrity of the reviewers of those articles. I feel we are only scraping the very surface of the tip of the iceberg here. Research fraud is probably rampant. I am often asked how, as a scientist I can justify my faith in God. I tell them it takes far more faith to believe the scientific articles I read. Tyrone, if you blame peer reviewers for the examples from “Public”, I am sure you have never yourself peer reviewed a paper. Regardless of how we would like peer review to be, you cannot expect peer reviewers to go through the figures with the preconceived idea that the authors may have fraudulently doctored these figures. And since most articles are reviewed by at the very least two reviewers, you essentially also suggest, by chosing the word “crony”, a massive conspiracy to let fraudulent research through. Prof Das is not far behind from the person “public” is highlighting. A pubmed search with Das DK gives you 600 odd publications but I suspect not all are from their group. I do feel that it could be around 500….wikipedia says over 500 articles have his name…amazing records!! You misunderstand me. I don’t blame peer reviewers in general for letting fraud go through. It is, after all, fraud (deceit). I doubt even a “crony” reviewer would let fraud knowingly go through but I’m sure that the fraudster would have elected reviewers who he believed were friendly to his research (i.e cronies) who would not look as deeply as they should have. But having said that, the fraud would only have been noticed if the reviewer was looking for it (as Public was). Even a non-Crony reviewer would probably have missed the fraud simply because he didn’t expect to be handed fraudulent research to review. The only person to blame is the fraudster. That said, the peer review process needs some reformation to end the epidemic of cronyism. How to go about this I have no idea. It seems that if the reviewer isn’t friendly towards your work they are bias against it. As this author points out (http://www.ncbi.nlm.nih.gov/pubmed/18971624) “completely opposite publications are common; typically paper that support the ROS theory have been published in high impact journals, and papers that contradict the ROS theory have been published in low impact journals.” Why is this if there isn’t bias and cronyism? The ROS and Sirtuin theories are dead in the water so it isn’t because the science isn’t up to standard. There is desperation to publish or perish and to get the money (or keep it) people will do what they have always done: lie, cheat and steal. Unless we adopt safeguards against human frailty these problems will persist. Tyrone, thanks for the clarification. However, the charge of “cronyism” is still not warranted without more evidence. There are many journals where you cannot propose reviewers, and others where they at most select one of the reviewers you propose. I don’t see cronyism as the main problem in peer review, or even a major problem. The big problem is the high volume of papers, meaning that the real experts become more and more selective about which papers they review, which in turns means that increasingly less competent reviewers are reviewing papers. I am currently involved in an attempt to eradicate some really embarrassing errors in a lot of papers, and when I read the reviews of others, I am continuously struck by the fact that these people have clearly read the paper, are clearly critical (so, no cronyism), but also clearly fail to see the big errors in the paper. In other words, they are incompetent in the area, despite the fact that their comments also show they work in that research area. References 31-38, which he takes as evidence and presents so ‘distantly’, are all self-references…I have to say that I am not a fan of someone who writes “it was discussed” when he’s the one who had done that discussing. So, call me skeptical about his claims. Add to that that he publishes a lot in “Aging”. Editor-in-Chief of that journal? Blagosklonny (along with two others, to be fair). The review I cited was published in “Cell Cycle”. Editor-in-Chief of that journal? Blagosklonny (and Blagosklonny alone). In fact, it appears that he has published more than 80% of his papers in the last 3 years in journals where he is Editor-in-Chief! So, if ever there is a suggestion (but not proof!) of cronyism/bias, you happened to link to it. Marco, your point is well taken. I’ve had to do with several reviewers who clearly didn’t know what they were doing. Maybe the solution to this is an open review process where the reviewers are identified and their comments are made public to each other and the scientific community? This would have been impossible in the past but with modern technology what it is this is more than feasible. I’m sure if the reviewers knew they were not going to be anonymous they would put extra effort into making sure they don’t look like fools. well, i have suggested this somewhere on this blog. Alternatively, reviewers’ names can be revealed once the manuscript is processed. Then all are openly responsible for what is going on in the review process. My comment (January 22, 2012 at 7:53 am – on backscratching – will also subside, hopefully!! is “back-scratching” the word people use for this kind of favoritism in publishing high profile publications. Yes, it is true that some people always publish their papers in high profile journals – nothing below impact factor of 10 …whereas others in the same field/same topic have to satisfied with journals with impact factors below 6. Pity but it is the truth. Blame should not be on reviewers because authors are ultimately responsible for their published articles. In fact, reviewers don’t anticipate foul-play, and their main roles are to ensure soundness and clarity in science. In my opinion, the main party to blame is the SENIOR AUTHOR who processes data for manuscript submission. Further, since desperation to publish or perish applies to all researchers who undergo the same reviewing process, yet majority of academic researchers are faithful to report true scientific findings, the problem clearly lies with the small population of SENIOR AUTHORS who lack scientific ethics. In the case for Bharat Aggarwal & Dipak Das, something common must be motivating these high-risk exercises: culture & greed! Determining the main party to blame for a particular paper will be case-by-case specific. In some cases, there may be a culture of unethical behavior promoted by a PI. In other cases, the issue may lie entirely with a single student. As well, in other cases, there may be collaborations between groups in different depts, institutions, countries, etc., and with different fields of expertise, and in such cases, a senior author may need to be able to trust his/her collaborators. In many types of behavior, blame cannot be assigned ahead of time. Not sure whether this has any impact on science and scientists of concern here. As an hypothesis, the problematic 'scientists' may be closely related based on their "collaborative distance" between a researcher and the problematic scientist as measured by authorship. I suggest the challenge to be taken up by bioinformatic scientists since computing power is readily available. Worth nothing is a potential example of father-&-son (http://abnormalscienceblog.wordpress.com/2012/01/09/like-father-like-son/).